I was forwarded an article from the New York Times website about jazz musicians who play ping-pong. It's actually an informative, skillfully written article by Aiden Levy. However, I could help thinking that it was an example of why I started this blog: because I'm tired of seeing articles which don't do justice to the musicians or the music. So I made a lengthy comment underneath the article on the Times website. Here's the link to the article, which again, is technically very good and lighthearted, engaging writing by Levy. I don't know if they will post what I wrote; It said it was pending approval. So here's what I wrote (below this paragraph). I'd love to get constructive feedback (CONSTRUCTIVE! Let's be civilized. Personal attacks will be deleted.) as to whether there is any point in my comment. I felt like I was sort of being mean to Levy, and that is not my desire at all. I think the problem might be with whomever is above Levy at the Times, in that they would rather print something fluffy than something real. Again, no disrespect to Mr. Levy. Maybe he'll agree and do something more music-oriented next time? Or maybe he'll be waiting for me in a dark alley with brass knuckles. Who knows? Anyway, here is what I posted. Bombs Away! While this article by Aidan Levy is extremely well written and interesting, and in some ways informative, I can't help but feel like it's a mere distraction from the state of the jazz scene in New York. What was not mentioned was how world-class musicians have to play in a venue such as Fat Cat where there are huge groups of young people playing ping pong or shooting pool and COMPLETELY IGNORING the music. And being louder than the music most of the time, as in deafeningly louder. I feel like I'm playing at a fraternity party when I perform there. I'm not dissing the venue, I'm dissing the NEW New Yorkers that go there for dissing jazz by not having the slightest interest in it. The New York Jazz scene is so lacking in real venues that a gig at Fat Cat is highly coveted, whereas 10 or 15 years ago many of the highest level musicians would never consider playing at such a venue. I love to play music, so I will play there happily when I get the chance. But it is a struggle. It's a struggle to hear myself play over the "Animal House" type of atmosphere! I think back fondly to places like Bradley's where they had a strict quiet policy. With the exception of the Village Vanguard, that kind of atmosphere is a rarity. Now I'm not saying you have to be completely silent. I'm just saying if the "audience" is drowning out the music, then it is just pointless. Then it ceases to be a jazz club: It's a place that has background music, much like restaurants such as the Blue Water Grill and the Blue Fin where again great, great, world class musicians play, and are incredibly ignored and periodically shushed by the management. I guess my point is that New York used to be the Jazz capital of the world. Due to the influx of the super wealthy, who seem more interested in expensive restaurants than live music, the Jazz Capital is losing it's claim on the title. In my humble opinion, I don't think an article like this is helping the situation. Wouldn't it be more relevant to do a piece on Dan Tepfer, a brilliant up-and-coming pianist in his own right, and talk to him about his music and his career? I hate to be a party-pooper, and I'm not trying to be insensitive to the great work that Mr. Levy did writing this piece. (I truly admire the skill of his writing.) But can we put away the ping-pong for a sec and talk about some music? I have a lot of fun playing jazz, but it's not a game. It's serious art that people have invested their entire lives in, and I think it deserves better attention than to be background music for drunk NYU students while they play ping-pong and shoot pool. What happened to the "men-in-tights" era of Baroque and Renaissance music when musicians were mentored by wealthy aristocrats? The least some of these nouveau riche could do is mentor you guys. That is a drag. It's even more of a drag when I find myself wishing we had a place like Fat Cat here in the Bay Area, because at least it would be a venue which books jazz. I do quite agree with your comments. As amazing and inspiring it is to see the calibre of musicians playing any random night in NYC, it is horrible and depressing to see the context and venues they are playing in. The last time I was there, I saw Uri Caine's Bedrock play one of the greatest shows I'd ever seen... to an audience of maybe 15 people. And I witnessed the incredible 10hrs of jazz for $10 at Small's (or was it 8hrs for $8?)... to see bands desperate to play at 3am, for an audience smaller than the band, and half asleep. Amazing and sad, all at once. I am in 100% agreement with you, George. I remember going to Zino years ago on the first night of a NYC trip to hear Kenny Barron and Ray Drummond. We paid extra to sit close to the stage, only to have some idiots at the next table talk loudly throughout the entire set. Whether I'm in a club or a restaurant, I'm there to hear the music, not to talk aloud or have the music drowned out by people who don't value the gifted musicians who are hard at work. George, I agree with you 100 per cent. One of the main reason I started hosting jazz concerts in my home was to avoid exactly this type of disruptive atmosphere. I figure, if a place charges a cover of any sort for music, then it's a jazz club, and the music should be respected. 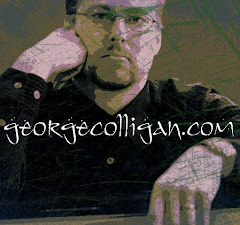 The incident that sparked our hosting concerts at home occurred many years ago (ironically IN a jazz club), when my wife and I went to hear the Tommy Flanagan trio. The two couples at the next table talked, and not in hushed tones, through the entire set, ruining the experience for us. Shame on me for not having the foresight to explain to them beforehand that I was there to hear perhaps my all-time favorite jazz pianist, we had all paid a cover and minimum and were here for the music. Then again, they seemed like respectable people who would not have treated this as "background music." I suppose they figured since they had paid the cover charge, it was siomply a royal command performance for them, and they could do as they pleased. Club owners need to take more control over these situations and at least respectfully remind patorns to tone it down. Cheers, Andy. Well I remember a friend's mother referring to jazz as "black background music," so it's more of that. How about Cleopatra's Needle? The big screen televisions blaring some game or another and the drunken crowd roaring over the music, their eyes glued to the set. I went there a few times years ago and wondered why they bothered with the music. Insane. Sad. NY times is very strict and confidential in releasing news.